The fee for your endodontic treatment will be based on the extent of treatment required. During your first visit we will discuss the diagnosis, treatment, prognosis, probable number of visits, their length, and the fees involved, and in most cases, we will begin treatment that day. Our use of digital radiography, digital photography, and numerous other clinical and diagnostic tool ensure that you completely understand your dental condition. Due to the difficult nature of the cases we treat, most appointments will be completed over two appointments. This allows us to guarantee the eradication of infection and the resolution of symptoms. However, in some instances we can intercept the development of symptoms or abcesses at an early stage and complete treatment in one visit. Endodontic fees usually range from $900 to $1,200, depending on the procedure(s) required. 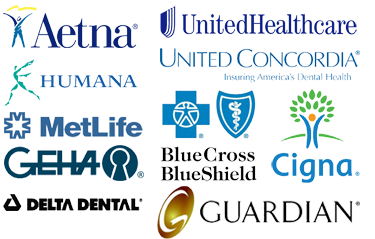 We happily accept most insurances. However, we are not an in-network provider. You are responsible only for your portion of payment at time of treatment.